“When I realised that I didn’t have to do anything I didn’t want to I stopped trying to fit a mould that wasn’t me.” This statement pretty much sums up Hayley Louisa Brown and her personal approach to photography. Having studied fashion photography at the London College of Fashion (LCF), Hayley started to realise that “Fashion is about creating a fantasy, whereas I prefer to capture the magic of the real world.” Under the guidance of Mark Lebon and Itai Doron at LCF she moved away from fashion to follow her passion for portraiture. “I now know what feels authentic to me. Whether it’s photographing a musician or a stranger I always feel most comfortable focussing on the person rather than the clothes they’re wearing.” Her portraits have a beautiful intimacy to them, close-cropped and intense, they communicate something about the people she shoots that is raw and soulful. 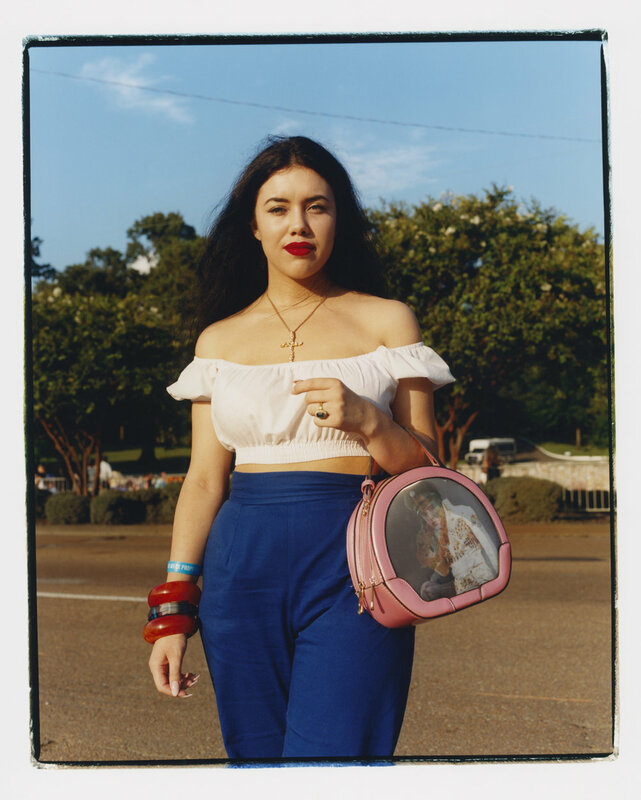 Fascinated by hero worship and the people we turn into icons, Hayley travelled to Graceland, Memphis, last summer to document the young fans of Elvis Presley who had come to celebrate Elvis Week, the commemoration of his death. Made possible by the Ace & Tate Creative Fund, The Children of Graceland is a fascinating look at the everlasting appeal of Elvis, the cult of an icon and how the legacy of The King still captures the hearts and minds of younger fans in an age at odds with the cookie-cutter era he represents. 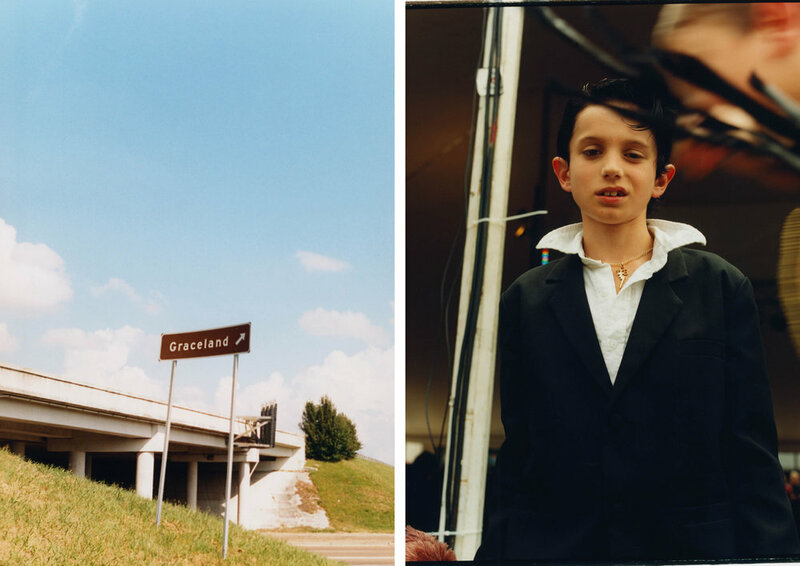 An exhibition of Hayley's images from The Children of Graceland are on show at the Ace & Tate store in Berlin until 19th February and at their Copenhagen store until 28th February. What made you want to shoot this project? I have wanted to visit Graceland for years, as long as I can remember. I have an avid interest in youth culture and music, starting out with punk when I was around 12 and developing backwards to the ‘birth of the teenager’ and Elvis Presley. 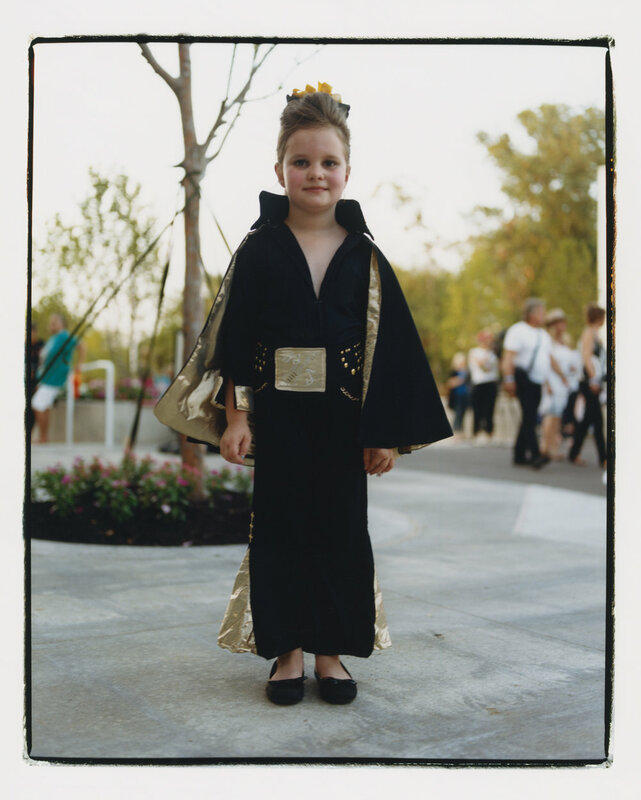 The idea of photographing young fans came from my curiosity regarding the longevity of Elvis’s legacy, and who was replenishing a fan-base that was, as morbid as it sounds, dying out. The artist Peter Blake was interviewed about his work featuring images of Elvis Presley and he said he was interested in the legend of Elvis, rather than the man himself, which is sort of how I feel, too. 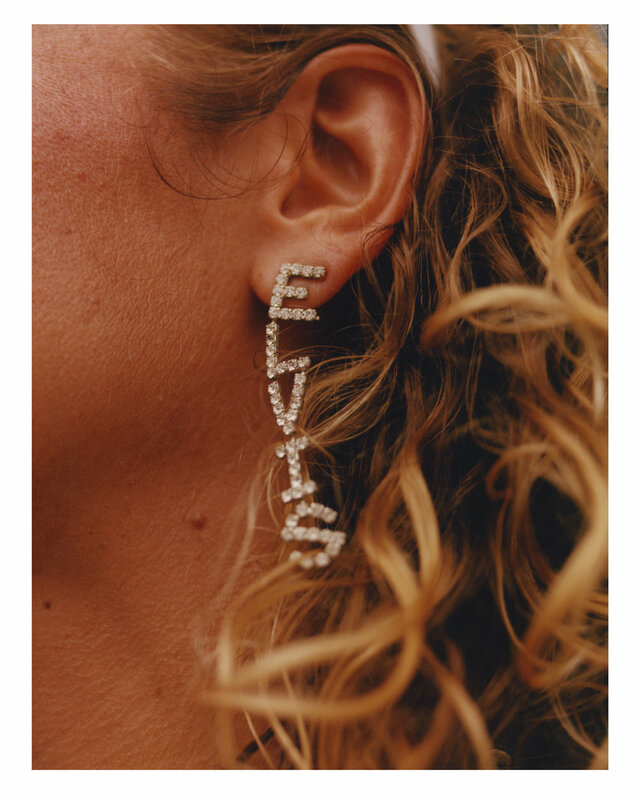 What do you think the ever-lasting appeal of Elvis is? He’s an icon now, a deity, someone whose downfall and drug abuse has been brushed under the carpet in favour of that young and trim, immortally smiling, gold suit wearing version of himself. The voice of the audio tour around Graceland tells the headphone wearing crowds year after year that Elvis died of heart failure, no drug abuse is vaguely hinted at. We have chosen to forget everything about him that made him human and allow him to transcend into this icon. The legend outlives the reality. More specifically what is his appeal to these younger fans? I find it so interesting because Elvis’s work is just the opposite of the current zeitgeist of youth culture. I figure perhaps it’s the simplicity, the innocence of the music and lyrics. It’s easy to understand and digest, it doesn’t involve social media or slang vernacular from a youth tribe you’re not part of. It’s an escape of sorts, it’s almost elevator music as it’s so assimilated into popular culture, you almost don’t hear it anymore. How did some of the kids get into Elvis? Were there any stand out stories? It really varied, it was really interesting to hear the stories. There were plenty of kids who were conditioned into loving Elvis due to parents or grandparents which is what I expected the reason to be on the most part, but a lot of people surprised me. I met a 13 year old girl called Jenny whose mother told me that her daughter was around 6 when an Elvis song came on the TV and she went crazy and was mesmerized by him. Jenny’s loved him ever since, even though her family (her mother included) aren’t fans. I also met a few 18 and 19 year olds who were visiting as their ‘leaving for college’ treat – again, without much encouragement from their parents. 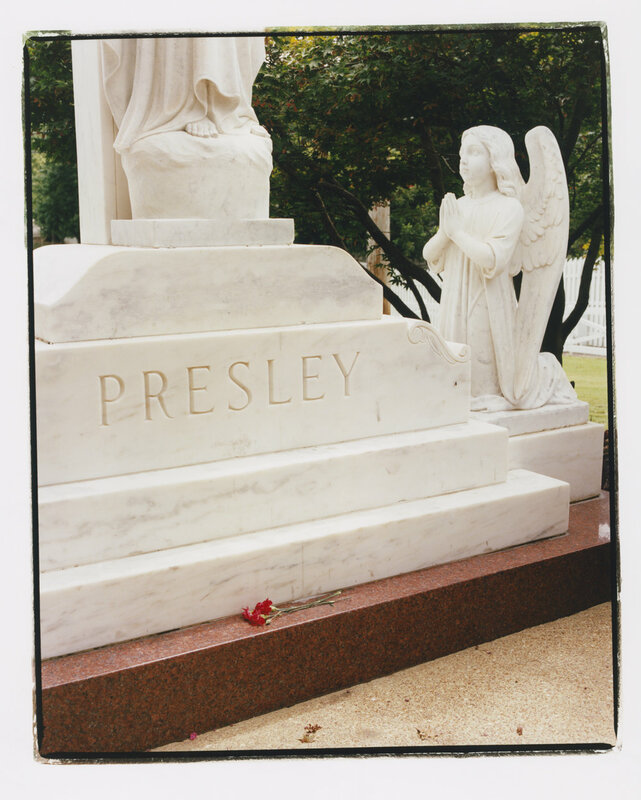 How would you describe the atmosphere of Graceland on a “normal” day and then on the more memorial days when there was a precession or event taking place. It’s night and day, really. Last year in particular, I was there for a month, and during Elvis Week – the week of his death and the time of year when they have events on every day for the duration – it’s a constant barrage of foot traffic, Elvis t-shirts and the same 10 Elvis songs blaring from the Graceland speakers drowned out by chatter and parents yelling for their kids to stay close-by. But after Elvis week, you’re just sitting and waiting, sweating in the humidity and subconsciously learning every small adlib on those aforementioned 10 songs. I spent a week at Graceland outside of Elvis Week and maybe managed 4 portraits, compared to the busy periods where I’d be finding at least 4 every hour or so. I’d love to know how much of their annual income is generated during this week of each year. Elvis and his memory is such an industry now. How does the commercialization of his legacy versus the emotional connection his fans have to him and his music sit together? The past two years was an interesting time to be there actually because in the year between my visits they had completely refurbished and renovated the Graceland complex, as well as building a huge new hotel and running even more of the unofficial souvenir shops out of business. 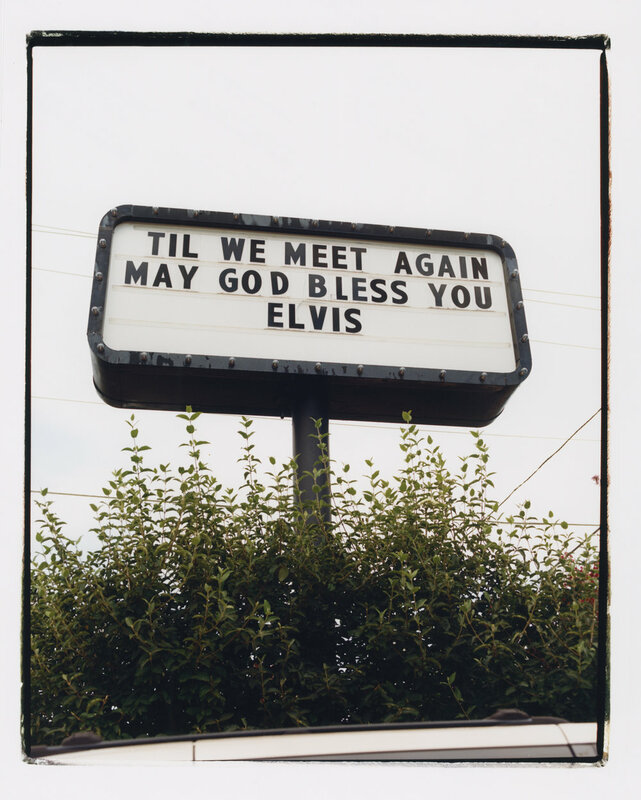 In that short space of time, Graceland went from being a dingy roadside attraction that looked like a relic in itself to being a well-branded Disneyland of sorts. I think that’s why Graceland is such a strange place, because Elvis Presley Enterprises really clashes with those die-hard fans. A lot of the time it seemed as though they resented being there, but felt they had to because of their loyalty to Elvis. On the night of the candlelight vigil, someone had hung a terribly make-shift sign on the fence saying ‘we are here for E.P, not E.P.E’, which, from my encounters, is the essence of the mindset of the fans who have been attending the vigil for years. What do you look for in the people you shoot? That’s so difficult to answer because I’m not even sure I know myself. I don’t know if it’s a visible thing. There are people I’ll walk past and not even look twice at, and others I’ll spot out the corner of my eye and run half a mile to catch up with so I can photograph them. I guess I don’t know until I see it. How did the Creative Fund help you realize this project? Travelling to Memphis is something I’ve wanted to do for a really long time, and shooting this project was always something I’d hoped I’d have the time and money to do ‘in the future’; but the right time never materialised. So the creative fund gave me a reason to prioritise the project, make time for it and undertake it exactly as I wanted to. It’s super hard to justify taking the time away from commercial work to create a body of personal work, especially something that’s so far away from your own backyard so it’s been really amazing. The Ace & Tate Creative Fund grants funding and expertise to creatives in order to bring brilliant ideas to life. Ace & Tate support individuals or collectives working anywhere, in any medium, who take creative risks to break new ground and explore new perspectives, to express the different sides of themselves and their subject matter. They invite original, focused proposals for tangible projects which turn obsessions into objects. The next Ace & Tate Creative Fund project will kick off in 2018—all information will be up on the website along with a wider selection of imagery from Hayley’s Children of Graceland.